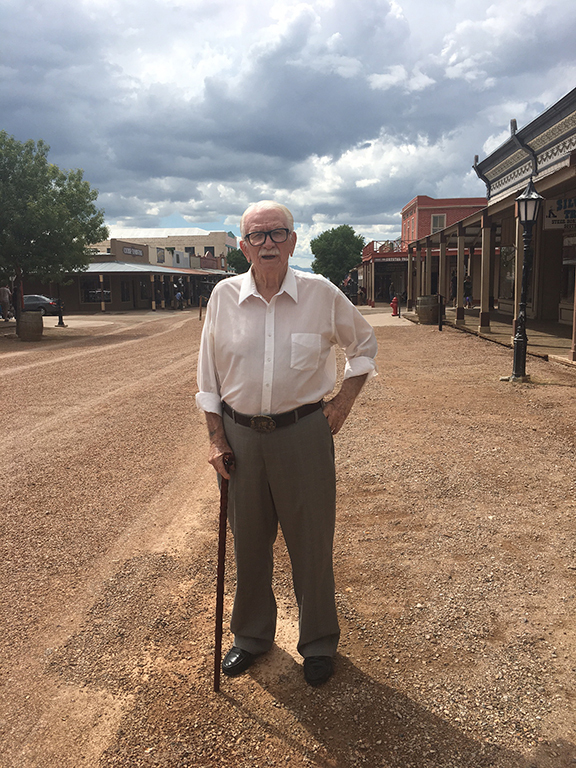 Drove down to Goose Flats today and ran into this guy, the grand old man of Tombstone, Mr. Ben Traywick. He's 90-years-young and still stomping the boardwalks. Great seeing him. When I asked him how he stays so young, he said, "Because I've got three more books in me!" 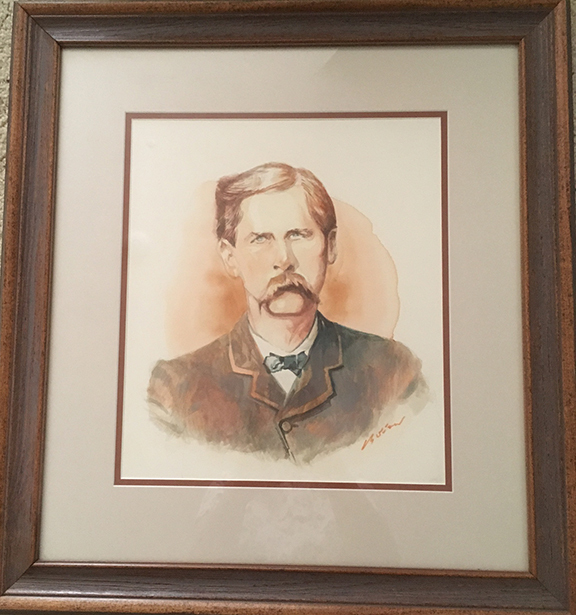 Sitting here in the Doc Holliday suite on his birthday. Big storm moving through the Dragoons, as a gentle rain falls. This is the view out my patio door. 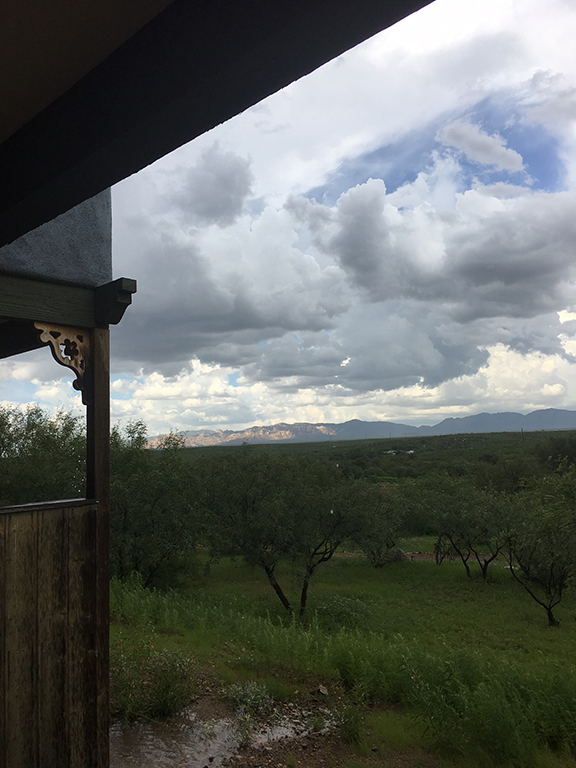 I'm a guest at the Monument Guest Ranch outside Tombstone, Arizona and tonight I get to tell tall tales to 50-or-so captured guests. So what am I going to talk about? Daily Whip Out: "Wyatt B.S. Earp"
"The old forget. The young don't know."